In 2018, Pennsylvania courts and the Environmental Hearing Board continued to fill in gaps left by the Pennsylvania Supreme Court’s decision in 2017 in Pa. Environmental Defense Foundation v. Commonwealth, 161 A.3d 911 (Pa. 2017) (PEDF), which established what some view as a heightened standard of review for challenges brought under Pennsylvania’s Environmental Rights Amendment. The Court in PEDF focused on the text of the ERA and split it into two parts. The first sentence is often referred to as the “individual right,” and the second and third sentences are often collectively referred to as the Commonwealth’s “trustee obligations.” The Court in PEDF found that the General Assembly failed to fulfill its trustee obligations under the ERA by allocating revenues from oil and gas leases on state-owned lands for general budgetary purposes rather than for environmental conservation. 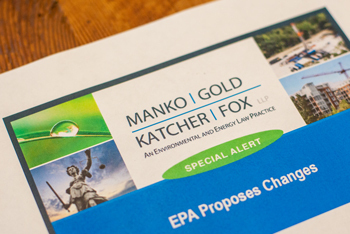 Shortly after PEDF, the Pennsylvania Environmental Hearing Board addressed the ERA in the environmental permitting context and established a framework for determining whether the Pennsylvania Department of Environmental Protection (PADEP) complied with the ERA. Center for Coalfield Justice v. DEP, 2017 EHB 799. The Board emphasized that the ERA Constitutional standard is not coextensive with regulatory compliance, but the practical effect of the Board’s holding was that regulatory compliance resulted in ERA compliance and regulatory noncompliance resulted in ERA noncompliance. The Board continued this trend through 2018. See, e.g., Logan v. DEP, EHB Docket No. 2016-091-L (Adjudication issued Jan. 29, 2018); Center for Coalfield Justice v. DEP, EHB Docket No. 2018-028-R (Opinion issued Apr. 24, 2018). It is still unclear what, if any, set of unique facts would lead the Board to find that PADEP complied with all applicable laws and regulations but still violated the ERA. Ultimately, it will likely take an appeal to the Commonwealth Court, and perhaps even to the Pennsylvania Supreme Court, to decide the scope of PADEP’s obligations under the ERA, and currently no such appeal is pending. One question left open by the Pennsylvania Supreme Court in PEDF is the extent to which the ERA imposes obligations on municipalities and state agencies other than PADEP. On October 26, 2018, the Commonwealth Court largely answered that question when it held that municipalities lack the authority to regulate in the areas of environmental protection reserved to PADEP. Frederick v. Allegheny Twp. Zoning Hearing Bd., No. 2295 C.D. 2015 (Oct. 26, 2018). In Frederick, the Commonwealth Court upheld a zoning ordinance that rendered oil and gas development a permitted use by right in all zoning districts, including residential and agricultural districts, subject to certain standards related to safety and security. The Court found that, “as a creature of statute, the Township can exercise only those powers that have been expressly conferred upon it by the General Assembly.” To that end, the Court stated that zoning necessarily requires municipalities to account for the natural, scenic, historic and esthetic values of the environment. But as to the remaining environmental issues covered by the Environmental Rights Amendment – i.e., clean air and pure water – the Court found that “[m]unicipalities lack the power to replicate the environmental oversight that the General Assembly has conferred upon DEP and other state agencies.” Ultimately, the Court held that, “a municipality may use its zoning powers only to regulate where mineral extraction takes place,” but a “municipality does not regulate how the gas drilling will be done.” The Pennsylvania Supreme Court is almost certain to weigh in on this case sometime in 2019.